When a baby is born, taking good care of his or her teeth is often the last thing on parents’ minds. 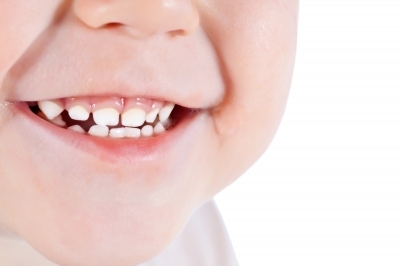 However, it is truly important to start caring for your child’s teeth from as early as infancy. Making sure that your baby is getting a healthy diet, avoiding dental dangers, and introducing a healthy dental care routine will all set the stage for healthy development of your baby’s teeth, even before they are visible. The first step in keeping your baby’s teeth healthy begins as soon as he or she is born. Feeding your baby healthy and nutritious foods and using the correct feeding procedure, will prevent many future dental problems. Feed your baby breast milk or properly prepared formula for the first year of life. Avoid giving any sugary beverages, including fruit juice, sodas, or even supposedly healthy energy drinks. All of these liquids will introduce unnecessary sugar to your baby’s mouth, which will lead to tooth decay in the future. Your baby’s developing teeth will suffer for any sweet drinks he or she consumes. Next, avoid a lifetime of problems by preventing them with proper dental habits. While using a pacifier is often recommended for the first few months of life, when babies need supplemental sucking opportunities, especially if they are fed with a bottle, the pacifier shouldn’t be used past age 2. Pacifiers should never be coated with any food or liquid, which will harm your baby’s growing teeth and encourage poor habits. Try to dissuade your baby from sucking their thumb by introducing the pacifier early, so that you will have better future control over this soothing device. Finally, introduce proper dental hygiene and good education from a young age. Start by massaging your baby’s gums before his or her teeth come in, and follow up by using a soft bristled toothbrush. See a pediatric dentist for advice and instructions for your baby’s dental care. Keep up to date with current dental innovations, such as those found in recent journal of dentistry articles, including the well known Journal of Implant and Advanced Clinical Dentistry. Current research can give you and your dentist a unique insight into the best care practices for your baby’s teeth. Start practicing good dental habits with your baby before they even start teething. The dental habits of youth can make all the difference. Your baby’s future dental health depends on you. This entry was posted in Dental care and tagged baby's teeth, dental care, how to keep your baby's teeth healthy on June 7, 2016 by Yami.